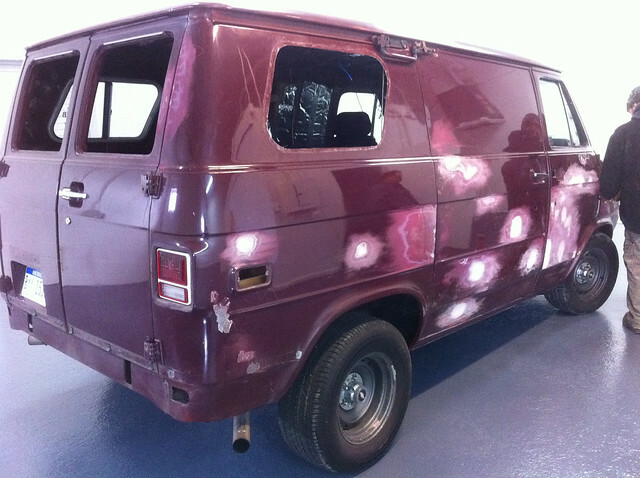 I have been talking about getting my 77 Custom Chevy Van project painted since I bought it a couple years ago and it is finally happening. 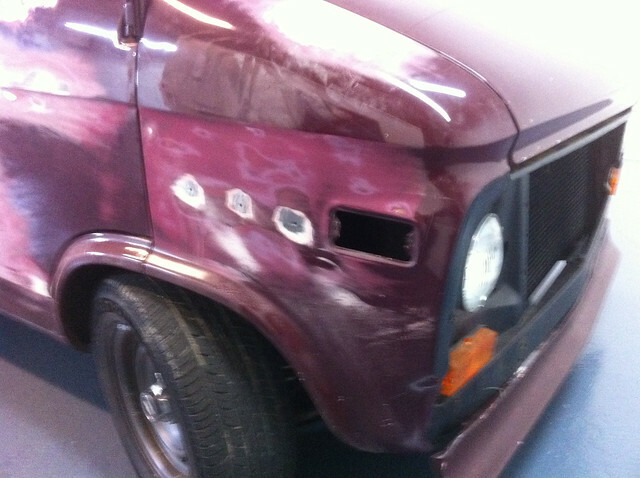 I dropped my van off the other day with my new friend Cory who’s doing a complete paint job for me. Now I just need to decide what color. It may sound crazy but I am still debating my color options. 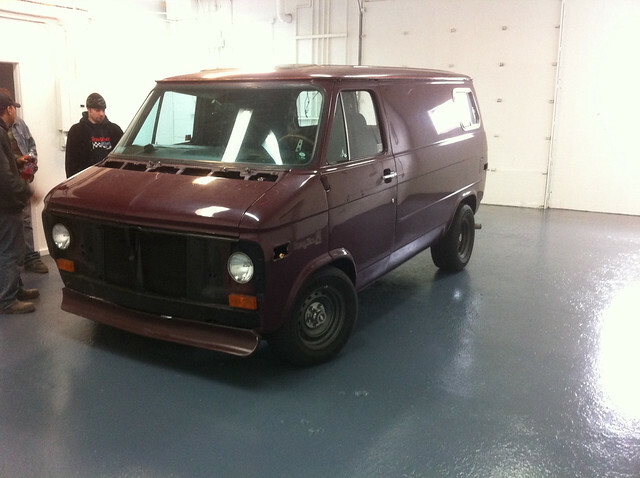 Below are some shots of the van in his new shop. He and his crew have started shaving the emblems, trim, mirrors etc. I am looking forward to seeing the project take shape. Cory and crew looking over the van in the new shop. Here you can see they have welded up a number of small holes and started the bodywork. I have been debating whether to keep the old side windows. The antenna and emblem holes already filled. He is going to glass in my front spoiler as well.